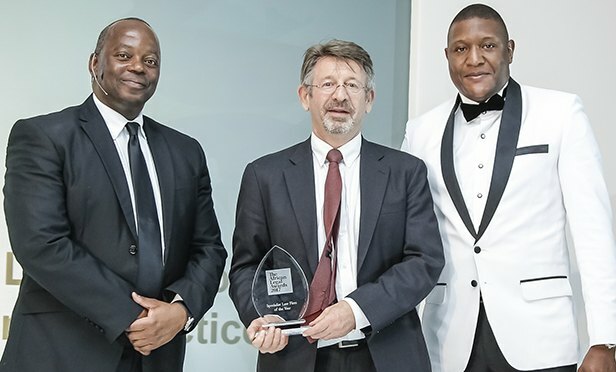 South African intellectual property law firm Spoor & Fisher scooped the Specialist Law Firm of the Year title, as it continues in its bid to become the leading IP law firm in Africa. Established almost a century ago, the practice has grown to encompass 80 lawyers across key offices in South Africa (and Jersey) with subsidiaries in Ghana and Cameroon and other parts of west Africa, providing specialist knowledge of IP laws in Africa and the Caribbean. As well as boasting a client list including some of the world’s best known brands, the firm’s commitment to boosting diversity through the recruitment and promotion of employees from disadvantaged groups has also won it much deserved plaudits: 29% of its partners and 57% of its attorneys are female. That culture of equality is also reflected in the firm’s CSR initiatives, such as transferring its in-house canteen operation to canteen staff, creating a business enterprise with 100% black female ownership. And in the IP space, the firm continues to play a pioneering role on the continent. For instance, Spoor & Fisher helped Adcock Ingram win a Supreme Court of Appeal ruling in a trademark opposition matter that had broad implications for the whole South African IP industry. The original article can be found here on LegalWeek website.